The field maple or acer campestre is a fully hardy, undemanding, deciduous hedging plant with a lot to offer. 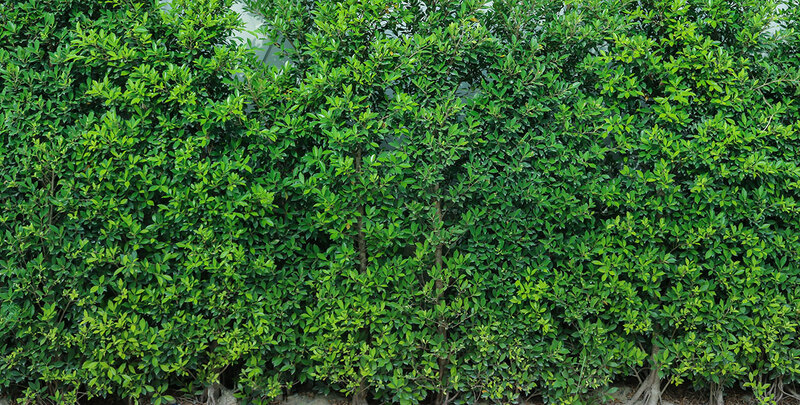 It may not be the most commonly used hedging plant, but it certainly has its merits. The field maple occurs in single species hedges, but is also often used as a component of mixed native hedges. Hedges that consist exclusively of field maples are usually medium-sized and have a dense growth habit with twiggy branches. Field maple hedges are perfect for screening or as a windbreak. It can be planted, even in very windy, exposed locations, as it tolerates strong winds. This includes coastal areas with salt sprays. It is commonly combined with other native, deciduous species, as they often go well together, creating rustic country hedges. The field maple has five-lobed leaves. The young leaves are tinged with red, turning to green and then to a lovely creamy yellow colour in the autumn. This is also the season when the species produces winged seeds. Small, rather inconspicuous flowers appear during springtime, specifically in April and May. As the flowers and fruits do not add much interest to a field maple hedge in an ornamental sense, the elegant leaves are definitely the primary reason why people choose field maple, as it will add a beautiful glow to any garden in all seasons, particularly during the autumn. Field maple hedges are valuable to wildlife, as they provide food for insects, such as hoverflies, bees and certain species of caterpillars. 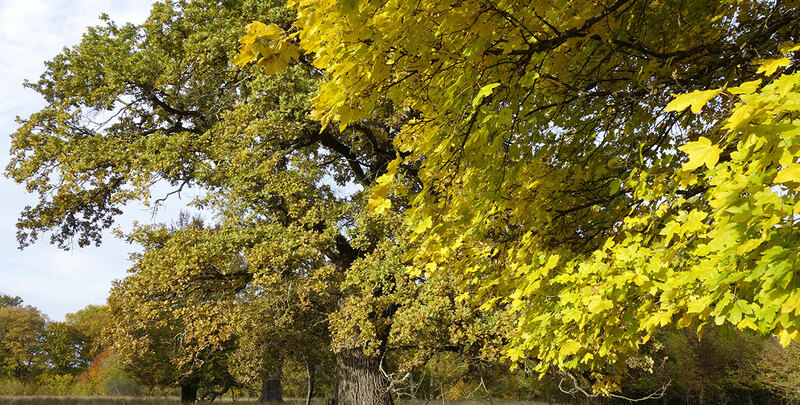 The field maple is the only native maple species in the UK. Its area of origin ranges from most of western Europe to the most western regions of Asia. It is very likely that the field maple is the only maple species that has reached our part of the world on its own after the last glacial period, as several remains of the field maple have been found that are estimated to be over 7,000 years old. Its suitability for hedging purposes is confirmed by the fact that it is commonly referred to as the hedge maple in North America, where it has become naturalised in certain areas. 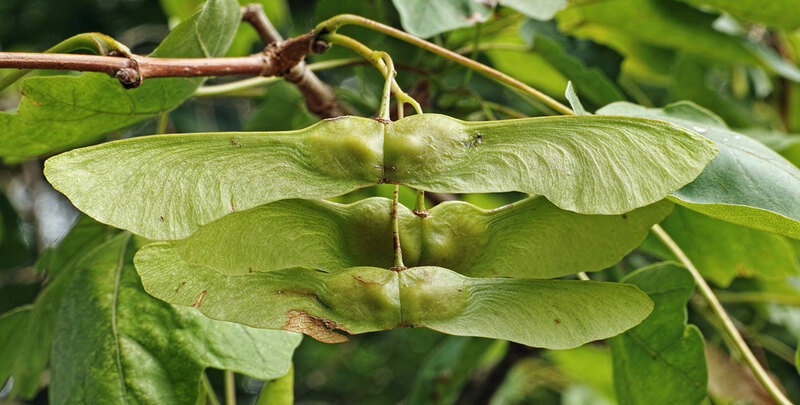 In the wild, the field maple has a tendency to seed in under existing vegetation. The white wood of the field maple is sometimes used for furniture, wood turning and most famously musical instruments, as several of the highly renowned Stradivarius violins were made from field maple wood. It also used to be popular as firewood. This type of wood is one of the hardest and heaviest maple woods around, but because the field maple is a relatively small and slow-growing plant, it is generally not valued for its wood. Instead, the field maple is most commonly appreciated for its ornamental value and is widely grown in gardens and public parks. Many cultivars have been established through the years, most of them selected for their striking foliage or their growth habit. Field maple hedgerows are usually planted sometime between November and March, when bare-root plants are available. They are a very undemanding species, as they can be planted in most soils and position, even poor soils, heavy clay and chalky soils. In fact, its native soils are thought to be clay and chalky soils. Ideally, a field maple hedge is planted in a fertile, moist and well-drained soil in the full sun or partial shade. Young field maple hedges are very tolerant of shade, but the species requires more sunlight as it gets older and bears seeds. In addition, field maples have a tendency to remain spindly in the shade, especially when planted in soil that is not sufficiently chalky. Hedge maples can be cut back and trimmed to shape in late autumn or early winter. Luckily, this maple species is very tolerant of hard pruning, which is why it is the most popular species for hedging purposes. However, we would like to point out that it is generally not encouraged to cut your field maple hedge during the spring, as it tends to “bleed” when cut back during that season. This species has a growth rate of about 40 to 60 centimetres per year and will reach an ultimate height of about 4 to 5 metres. As a standalone tree, the field maple can reach up to 350 years of age, so if maintained properly, you will be able to enjoy your field maple hedge for a long time. By referring to this species as hedge maple, the Americans have confirmed what most people in its native range already knew: the field maple is simply an excellent plant for hedging purposes. It is an undemanding, versatile hedging plant that will remain loyal to you for a long time if you give it the little attention that it requires and deserves. Pollinating insects will also be grateful if you choose to plant a field maple hedge in your garden, as the species is an important source of nectar for them. Some birds, several finch species in particular, even like to eat its berries. 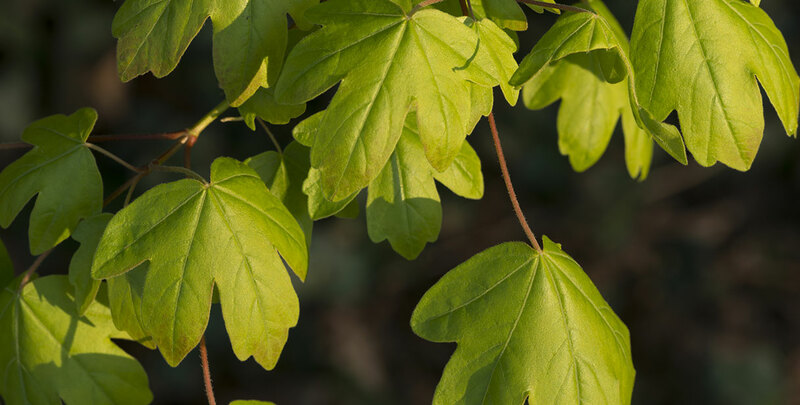 Therefore, even though the fruits and blossoms of the field maple are inconspicuous, they will certainly make your garden a little livelier while helping wildlife. As is common with maple trees, the sap of the field maple can be used to make maple syrup, but the main attraction of a field maple hedge is undoubtedly its beautiful foliage. Its leaves will have an elegant green glow during the spring and summer, but most notably, their autumn colour is simply gorgeous, making the field maple one of our most beautiful native hedging plants.